We have over a dozen years of experience in helping our customers fix some of the most troublesome problems that you can think of when dealing with auto glass in the greater Pasadena and San Gabriel Valley area at Mobile SGV Auto Glass. Not only do we help our customers avoid expensive auto glass Pasadena repair services, but we service just about every make and model of vehicle driven in the United States. We hire and train representatives who speak English and Spanish, and offer free mobile service to help alleviate customer concerns about having to make an appointment and waste precious time and gas money coming to our main garage to get a quality auto glass repair service. We are available seven days a week to help you with your auto glass Pasadena needs and make arrangements to repair your vehicle at a time convenient with your work or family commitments - unlike some of our competitors. However, our representatives are not located in another country. We use representatives who are local and can help answer any questions you may have. We can arrange your mobile auto glass repair 7 days a week. In the event your repair job requires glass cleanup, our service reps are trained to ensure you get a free clean up to include glass residue after hiring us for your glass repair needs. To ensure that our customers can fully be at ease when calling us to repair the glass on their automobile or truck, we make sure that all of our technicians are fully trained and fully ready to work on your vehicle. 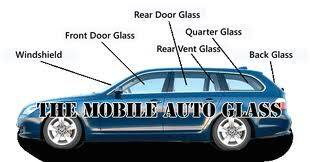 At Mobile SGV Auto Glass, we make sure that safety is our #1 priority. Give us a call today and put our knowledge of auto glass to the test. Our company policy is to always give you a free estimate on our work, and we look forward to serving you today. You are under no obligation to use our service if you ask for a quote on our work, and we highly encourage our prospective customers to shop around to compare our company against the competition. The highways in Pasadena can see all ranges of potential road hazards. Unfortunately, this commonly results in many consumers finding themselves with cracked windshields requiring a full auto glass repair in order to ensure the safety of the occupants of their vehicle. The windshield replacement team is here at your service seven days a week. Mobile SGV Auto Glass understands the anxiety that can arise when faced with dealing with unplanned windshield or other auto glass replacement demands, and make full use of our dozen or so years of experience to help put your mind at ease. Our field techs are available to service your vehicle both at our shop or they can come to your home or place of work to help replace the broken glass in your automobile. Give us a call today. Our savvy technical staff will go out of their way to fully analyze the damage to your auto’s windshield or other auto glass and will make sure that we cannot safely complete a windshield repair service before we move forward on a full glass replacement job on your automobile. Our company is 100% dedicated to customer service, and we will never let you down. All of the work done by our highly experienced maintenance staff is backed by a 100% warranty, and our customers rarely have to come back and ask us to fix any aspect of our work. You will be happy when you make Mobile SGV Auto Glass your first call when it comes to auto glass repairs in the greater Pasadena area of California. At Mobile SGV Auto Glass, our staff understands the importance of keeping friendly and professional call representatives available for you when you call us for windshield repair and other auto glass services. We take great pride in being able to answer just about any question you might have regarding the process and cost to fix you call while remaining very responsive to your availability to make your vehicle available for auto glass replacement needs. All of our technicians are not only trained in the various obstacles that can arise when they are called to work on your vehicle, but they are also licensed to work on your automobile. We do windshield repair and all of our work comes with 100% lifetime free warranty on anything we do. We also do free mobile service in auto window tinting as well. If you are facing any questions in regards to price or service, simply pick up the phone today and call us directly. Friendly representatives are standing by to answer any questions you have about the auto glass repair process. Our company policy is to always give you a free estimate on our work, and we will always go out of our way to leverage our 12 years of experience to deliver the best possible glass repair service to you possible. Our company is dedicated to customer service, and you will be truly impressed at the high degree of craftsmanship that we consistently deliver to our clients on a regular basis. Your satisfaction is important to our team, and that is the primary reason that Mobile SGV Auto Glass has been a big commercial success over the past decade in the greater Pasadena area of California. No question is too simple to ask, and we look forward to working with you today. Mobile SGV Auto Glass provides excellent quality auto glass service, windshield repair and windshield replacement to customers in Pasadena and surrounding San Gabriel Valley areas. We have free mobile service anywhere in Pasadena California. We are Pasadena Auto Glass – Pasadena Mobile Auto Glass Repair – Auto Glass Repair Pasadena – Auto Glass Pasadena – Auto Glass Alhambra. We perform excellent Auto Glass Pasadena CA - Windshield Repair Pasadena – Windshield Replacement Pasadena. Our company also does Car Glass – Car Glass Repair – Windshield Replacement – Auto Glass – Auto Glass Shop. Call us today for a free estimate on your mobile auto glass. We are known for excellent Auto Glass Repair – Windshield Repair – Auto Glass Replacement Pasadena – Auto Glass Replacement - Car Glass Repair – Car Glass. Call us today for a free estimate.